Кінооператор Роберт Елсвіт вважає, що більше не співпрацюватиме із Полом Томасом Андерсоном. 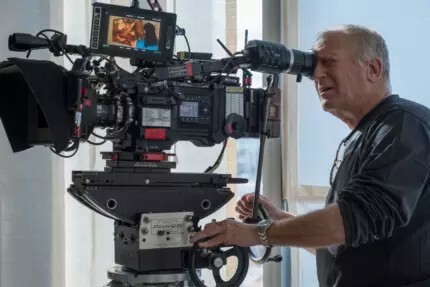 Elswit lensed “Hard Eight,” “Boogie Nights,” “Magnolia,” “Punch-Drunk Love,” “There Will Be Blood,” and “Inherent Vice” for Anderson; Mihai Mălaimare Jr. was director of photography on “The Master,” and Anderson shot “Phantom Thread himself.” Elswit’s other credits include “Good Night, and Good Luck,” “Michael Clayton,” “Nightcrawler,” and two “Mission: Impossible” films (“Ghost Protocol” and “Rogue Nation”). His memories aren’t all bad, of course, especially when it comes to the film that won him an Oscar. “I sat there and for the first time — after about three glasses of wine — I’d forgotten I was just watching the movie,” Elswit said of a “There Will Be Blood” screening accompanied by a full orchestra.